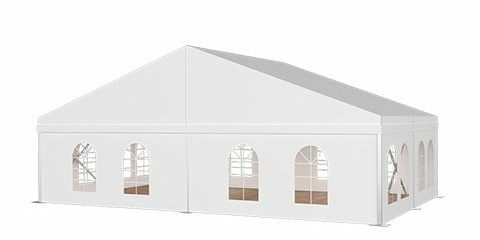 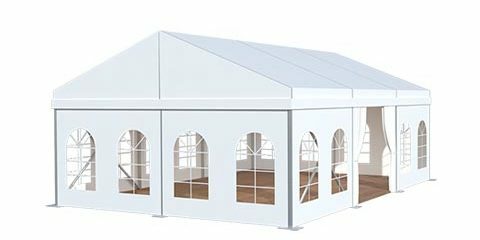 The banquet tent is a perfect solution for the outdoor party. 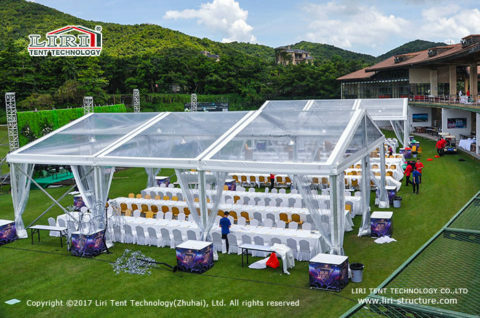 It has no special requirements for the venues, especially the more complex outdoor terrain, which saves lots of troubles when building. 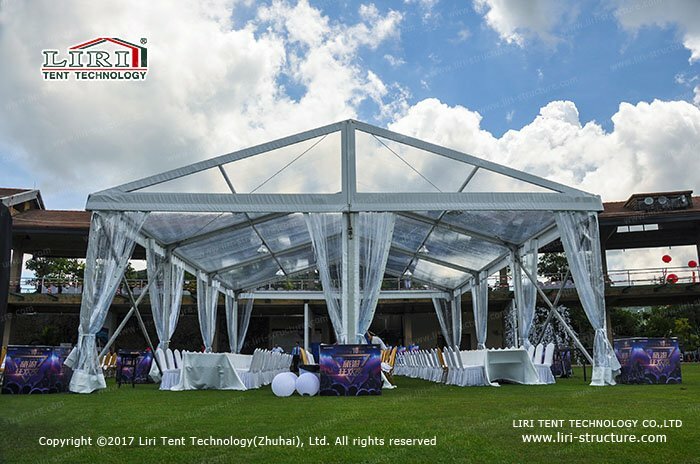 Our engineers will also make corresponding design plans based on different environments. Tailor-made banquet tents for sale are available to meet the needs and imagination of customers. 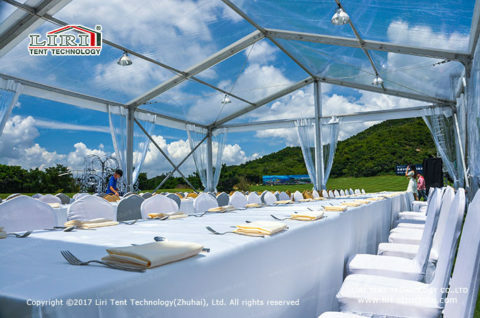 In order to ensure that guests enjoy their meals in the tents, the tent frame is made of high-strength aluminum alloy for durability. Nowadays people heavily stick to attending a banquet, therefore there is a more and more outdoor party coming up. Organizing banquets outdoor not only allows guests to enjoy a special banquet reception, but also provides guests with a very good social environment. When holding a banquet outdoors, never let the beautiful scenery outdoors go to waste. 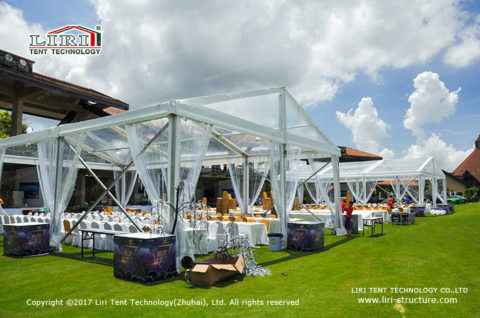 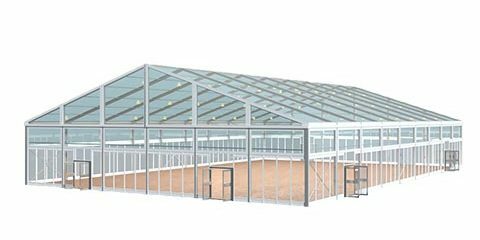 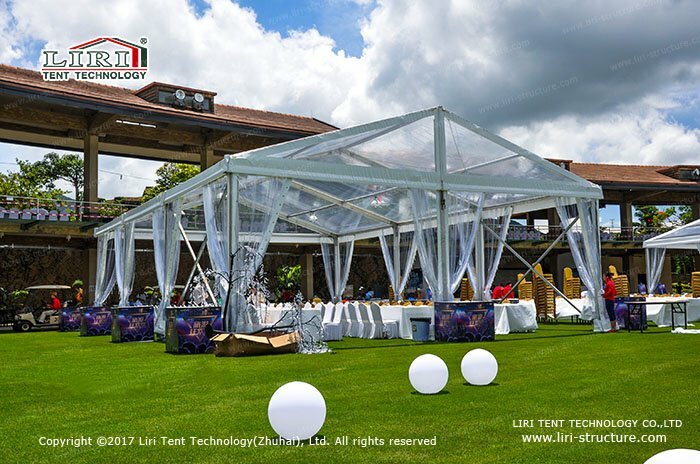 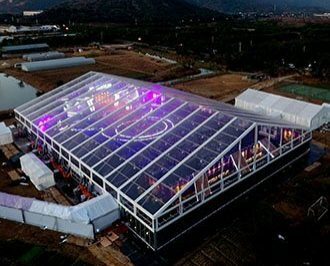 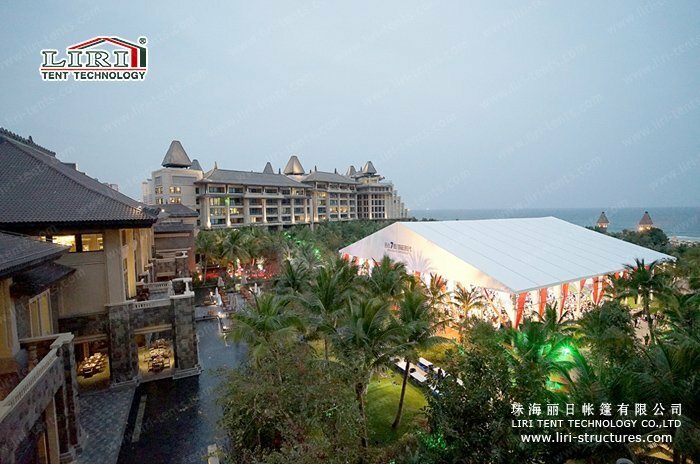 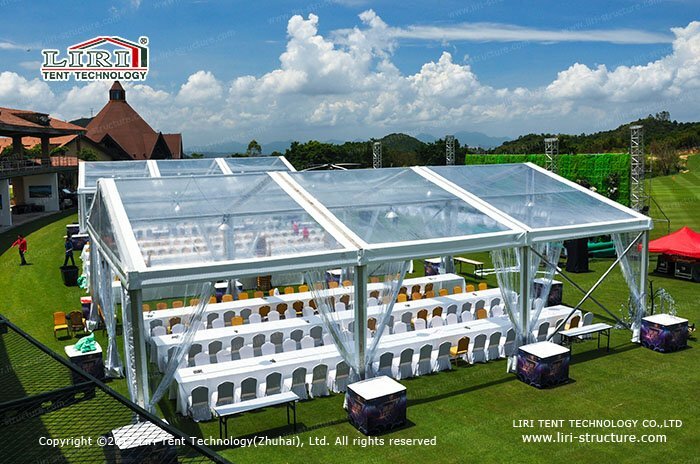 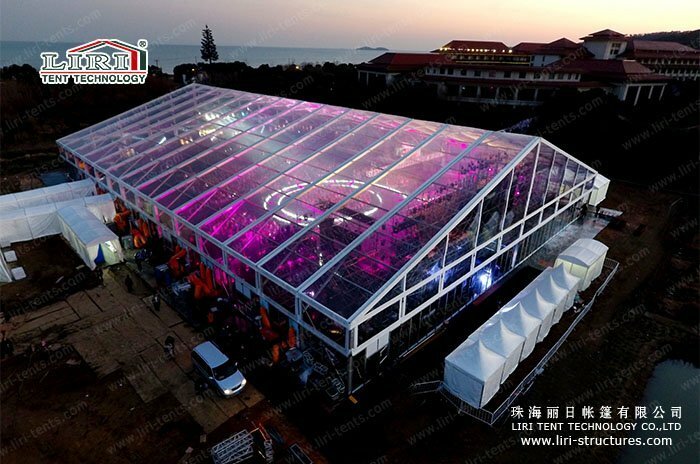 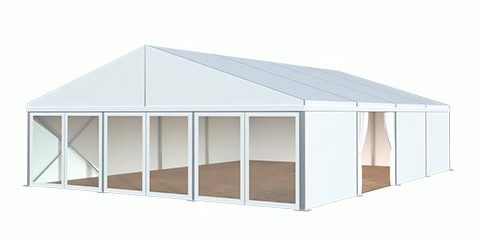 Liri banquet tents can be fully clear or equipped with glass walls. 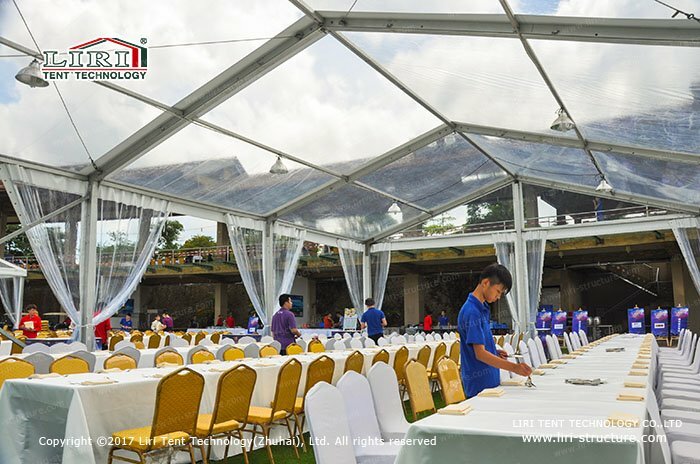 Guests can enjoy the beauty of the surroundings while they are dining. Moreover, it can also solve the lighting problems of the tents so as to make the banquet space more spacious and bright. 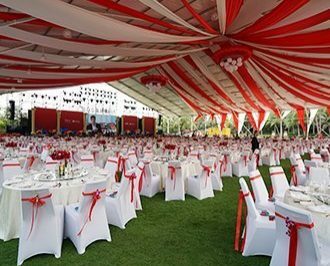 This kind of banquet atmosphere is totally unattainable in the hotel. The banquet tent can be easy to be assembled and disassembled in a short time, and it will not cause damage to the surrounding natural environment. It will be built in a green environment so that customers can use it many times, which leads to reducing many expenses. 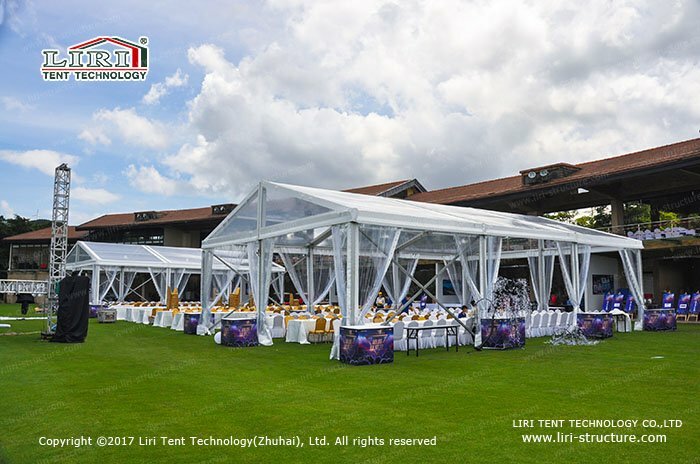 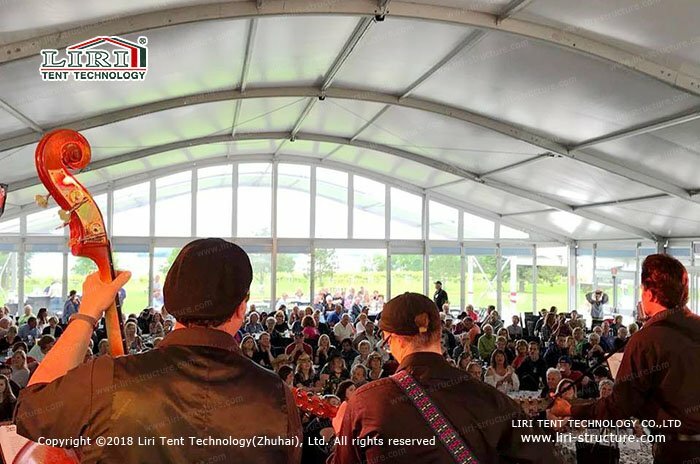 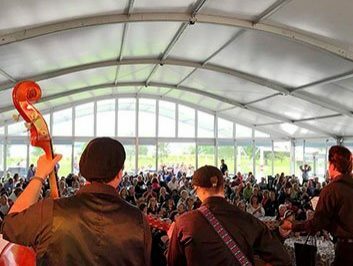 The banquet tent for sale can also be used in corporate celebrations and parties, weddings, exhibitions, and other outdoor activities, that’s why making it more and more popular.